Intense Polish Therapy: Physicians Formula: The Healthy Lip Velvet Liquid Lipstick | Review Time! Physicians Formula: The Healthy Lip Velvet Liquid Lipstick | Review Time! Hey Everyone! I wanted to give you my thoughts on the Physicians Formula The Healthy Lip Velvet liquid lipstick. This is a lipstick I've been trying for a few weeks now and I have a good idea of how they perform. There are thirteen shades available that can be purchased at most drugstores or Walmart. 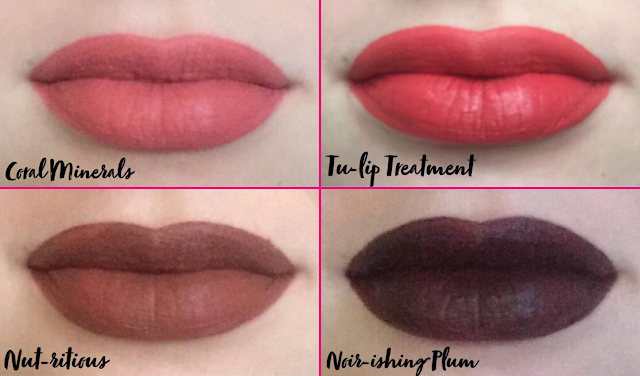 I currently have four shades: Coral Minerals, Tu-lip Treatment, Nut-ritious, and Noir-ishing Plum. The applicator is shaped like a tear drop with a hole in the middle to give you more precision when applying. 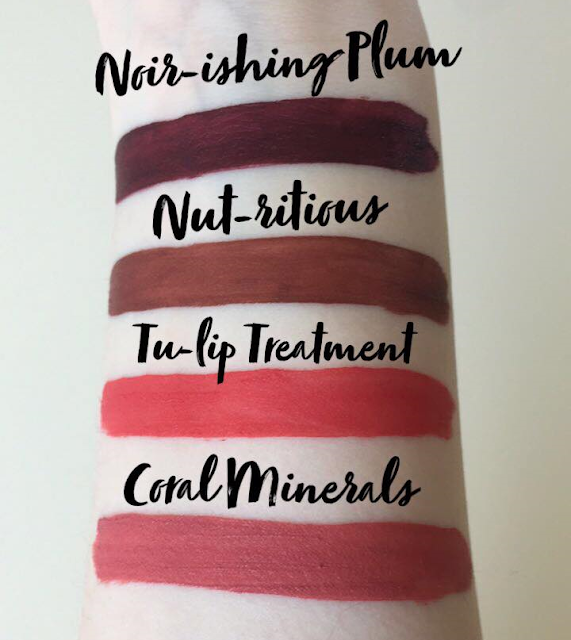 These liquid lipsticks are a creamy consistency and contain many good ingredients which can make your lips more smooth and hydrated overtime. When putting this lipstick on initially, I found it creamy compared to most liquid lipsticks. It is a very comfortable formula, but it isn't the most lightweight lipstick available. The applicator made it much easier to get a crisp line when applying the lipstick considering the formula was so thick. There is a sweet smell to these lipsticks that isn't overpowering. I find that it smells like icing, but also slightly like cloves. If you have sensitivities to fragrance you might want to be cautious when purchasing these. 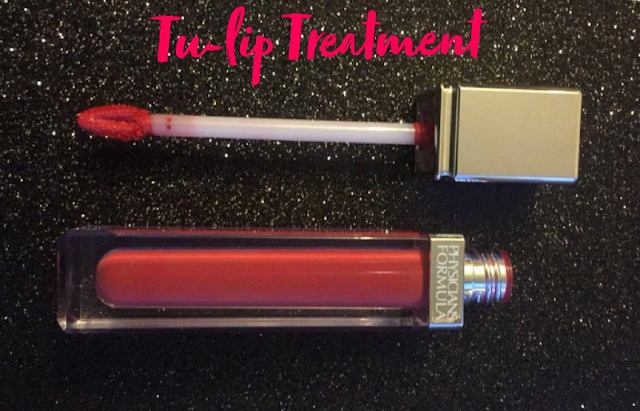 I applied Tu-lip Treatment after lunch and wore it most of the day. I found the dry down to take a long time compared to other liquid lipsticks. The creamy formula might be the reason for that, but it did dry down after about ten minutes. This lipstick was not completely transfer proof, but it stayed on very well other than on straws or the glass I drank from. Even though there was some transfer, the lipstick lasted a long time and didn't appear to fade. 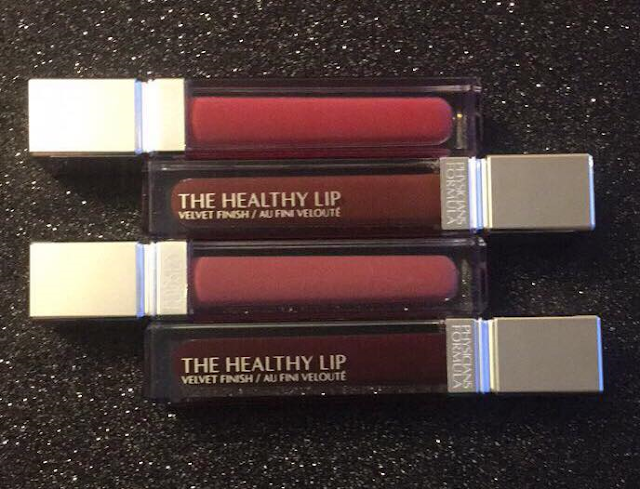 Overall, I really like the Physicians Formula The Healthy Lip Velvet liquid lipsticks. I've worn these to work many times and they lasted all day long while also not completely drying out my lips. These lipsticks can also withstand a meal without needing to be reapplied. I had a greasy lunch at work one day and there was no difference in how my lipstick looked before and after eating whereas some of my other liquid lipsticks wouldn't have lasted through that. I'm very impressed with these lipsticks and plan to buy many more in the future! I would recommend these to everyone!